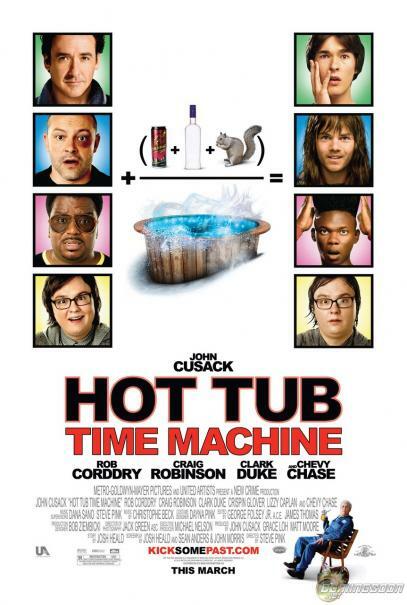 "Hot Tub Time Machine" follows a group of best friends who've become bored with their adult lives: Adam (John Cusack) has been dumped by his girlfriend; Lou (Rob Corddry) is a party guy who can't find the party; Nick's (Craig Robinson) wife controls his every move; and video game-obsessed Jacob (Clark Duke) won't leave his basement. 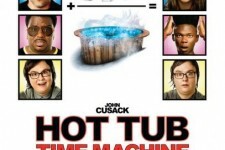 After a crazy night of drinking in a ski resort hot tub, the men wake up, heads' pounding, in the year 1986. This is their chance to kick some past and change their futures – one will find a new love life, one will learn to stand up for himself with the ladies, one will find his mojo, and one will make sure he still exists!